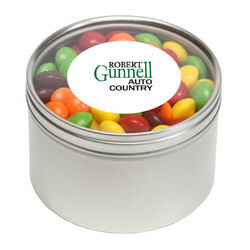 Our Round Window Tins serve to highlight the 10 ounces of Skittles candy inside and your logo at the same time. They are perfect for continued use after you have enjoyed the candy. 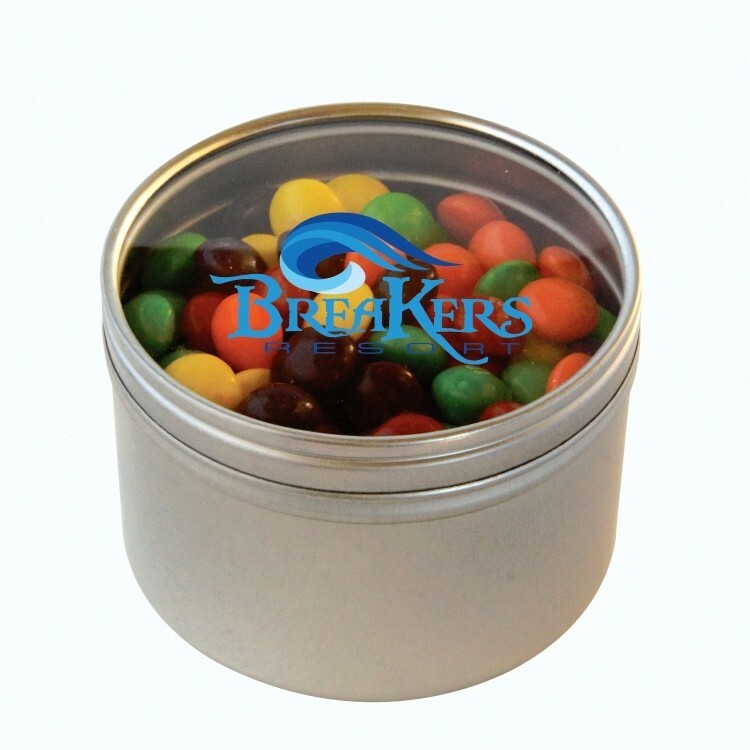 Just fill them with paper clips or other small items and your logo will live on indefinitely. 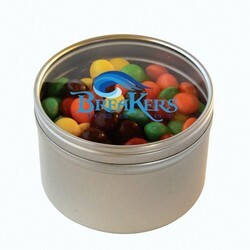 3.125" x 2.125" x 3.125"